Urban Platter Pea Protein Concentrate is specially created to deliver highly concentrated protein, it's packed with an impressive 22g of protein per serving, delivering the protein you need to provide optimum body-building potency for people who train hard to gain muscle. Urban Platter Whey protein has a very high BV (Biological Value) which makes it easy to get assimilated in the body and get transformed into muscle mass. 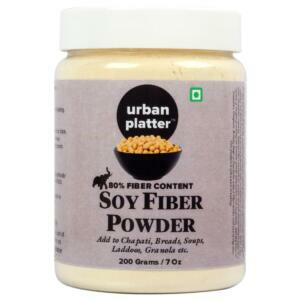 The AMINO's from Urban Platter Pea Protein exert a positive anabolic effect to stimulate development. A scoop post workout is just what your starving muscles need to record quick quality gain! As a post-workout dietary supplement. To make a delicious drink, add 1 heaping scoop (31g) to 200ml water / skimmed milk. Blend 40-60 seconds in a shaker or a blender for a thick and creamy shake. Urban Platter Pea Protein Concentrate Powder Chocolate Flavour, 1kg / 35.2oz [32 Servings, Gluten Free, No Added Sugar] Urban Platter Pea Protein Concentrate is specially created to deliver highly concentrated protein, it's packed with an impressive 22g of protein per serving, delivering the protein you need to provide optimum body-building potency for people who train hard to gain muscle. 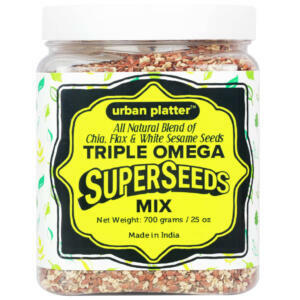 Urban Platter Pea protein has a very high BV (Biological Value) which makes it easy to get assimilated in the body and get transformed into muscle mass. The AMINO's from Urban Platter Pea Protein exert a positive anabolic effect to stimulate development. A scoop post workout is just what your starving muscles need to record quick quality gain! As a post-workout dietary supplement. To make a delicious drink, add 1 heaping scoop (31g) to 200ml water / skimmed milk. Blend 40-60 seconds in a shaker or a blender for a thick and creamy shake. Early Morning - During Sleep the body remains inactive for 6-8 hours without any nourishment. Without Protein, muscles start to break down in order to create energy for the body. Drinking the Pea Protein early in the morning prevents muscle breakdown before it starts. Post Workout - A strenuous workout session leaves your muscles starved, making them absorb more protein compared to any other time of the day. Being a fast-acting protein, the Pea Protein stimulates fast recovery and builds a lean muscle mass post workout. In Between meals - Consuming the whey protein in between meals keeps your body in an anabolic and positive nitrogen balance state throughout the day. At Bedtime - Your muscles starve when you sleep at night. As a result, your body may use the store of limited nutrients to fuel metabolic processes. The Pea Protein prevents muscles from going into a catabolic stage and reduces muscle breakdown.